Please enjoy the following list of amazing horses that we have sold over the last decade-plus! We are very proud of the fact that we have multiple repeat buyers and know that this is reflective our integrity in representing horses. The perfect match and home will always remain our upmost focus. We are also boastful of our sold history with quality breeders, especially Bae Prid Farm, Equanimity Farm Sport Horses and Flying Lion Farm. recently, we have added sold horses to this list from our own quality Thornridge Breeding Program!!! SOLD JULY 2018: CONGRATS TO ALLISON LIGHTFOOT OF BEL AIR, MD. WE ARE EXCITED TO BE A PART OF YOUR FUTURE TOGETHER! SOLD Nov 2017: Congrats to Tracy Farmer & Marjorie Davis of Mt Airy, MD! SOLD Oct 2017: Congrats Jude Martin of Pikesville, MD! SOLD June 2017: Congrats to Claudia Kleinsmith of Glen Arm, MD! SOLD May 2017: Congrats to Mara Seitel-Mellencamp of Middle River, MD! SOLD Dec 2017: Congrats to Sophie Elisseeff of Baltimore, MD! SOLD Sept 2016: Congrats to Robin Petrasek of Mt Airy, MD! SOLD May 2016: Congrats to Joyce Faccenda and Ange Bean of Wayne, PA! SOLD Sept 2015: Congrats to Aviva Nebesky of Bowie, MD! SOLD Feb 2015: Congrats to Maria Rojas of Washington, DC! SOLD Dec 2014: Congrats to Leeandra Wesley of Abingdon, MD! SOLD April 2013: Congrats to Leeandra Wesley of Abingdon, MD! SOLD Sept 2012: Congrats to Linda Elliott of Baldwin, MD! SOLD Oct 2012: Congrats to the Riggle Family of Reading, PA! SOLD Sept 2012: Congrats to Tracey Basler of Chadds Ford, PA! NOT AVAILABLE: We absolutely adore "Roo" and are big fans of Le Santo. We are very pleased to have Roo head back to FLF and become a broodmare! We cannot wait to have her offspring join our Sale Program SOON! SOLD June 2011: Congrats to Lee Scott of Charlottesville, VA! 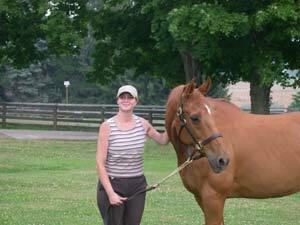 SOLD June 2011: Congrats to Madeline Kbletzacker of Ohio! SOLD Feb 2011: Congrats to Angela Heselton of Rochester, MA! SOLD Feb 2011: Congrats to Heather Stiffel of Leonardtown, MD! SOLD Nov 2010: Congrats to Teri Beste of Middletown, MD! SOLD Aug 2010: Congrats to Lynn Van Gilder of Bel Air, MD! SOLD May 2010: Congrats to Kathryn Schultz of Abingdon, MD! SOLD May 2010: Congrats to Jack Vickery of Dillsburg, PA! SOLD June 2010: Congrats to Jennifer Scheurich of Vienna, VA! SOLD Feb 2010: Congrats to Flying Lion Farm of Zephyrhills, FL! We cannot wait to see the ponies that Foxy will produce with LeAndros/Le/Santo! SOLD Dec 2009: Congrats to Christy Weikert of Delta, PA! Wally remained a Thornridge Resident Leased by Loretta Krach of Bel Air, MD! Wally SOLD to Loretta in 2010 and remains a resident! SOLD Nov 2009: Congrats to Ann Lippy of Monkton, MD! SOLD July 2009: Congrats to Alix Day & Family of Ownings Mills, MD! Alix & Sunny have been Thornridge Residents for most of the last decade! SOLD Aug 2009: Congrats to Erica Degelle of Conowingo, MD! SOLD April 2009: Congrats to Jess Systo of Brattleboro, VT! SOLD April 2009: Congrats to Heather Stiffel of Leonardtown, MD! SOLD Jan 2009: Congrats to Cyndy Brown of Canton, GA! SOLD 2008: Congrats to Joyce Strueber of Monkton, MD! our AA student and eventually retire at Thornridge! After his sale, Mozart never left us!!! SOLD 2008: Congrats to Beth White & Marjorie Davis of Sykesville, MD! In 2018, at the age of 24, Monica has returned to Thornridge!!! SOLD 2007: Congrats to Amy Mikles-Walsh of Parkville, MD! In 2015, a student leased Nova so he came back into our lesson program at Thornridge! SOLD June 2007: Congrats to Mary Beth Lanza & Renee Kidd of Chesapeake City, MD! SOLD June 2007: Congrats to Leeandra Wesley of Abingdon, MD! SOLD July 2007: Congrats to Lila & Olivia Adams of Suwanne, GA! 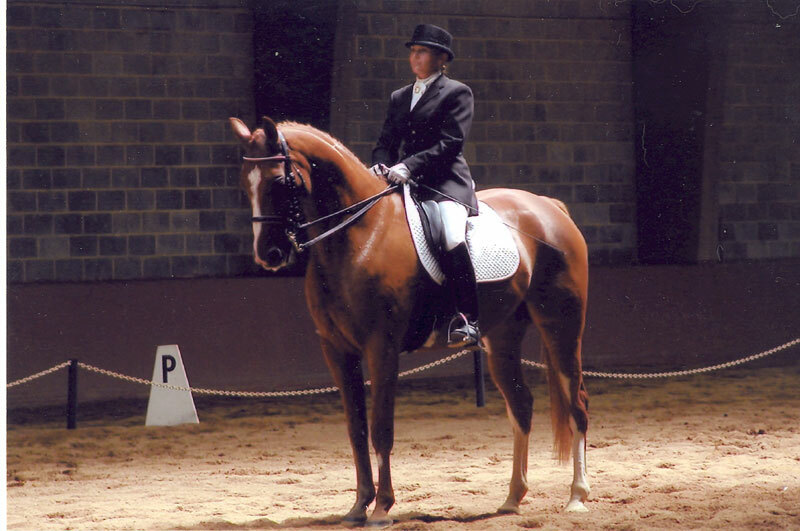 Trakener/TB * Dam of Sold Gelding "Tony"
SOLD 2007: Congrats to Heather Stiffel of Leonardtown, MD! SOLD 2007: Congrats to young rider Amy Cabott! SOLD 2006: Congrats to Pam Salvanelli of Damascus, MD! SOLD Nov 2006: Congrats to the Zdanis Family of Glen Arm, MD! SOLD June 2006: Congrats to The Zdanis Family of Glen Arm, MD! SOLD 2005: Congrats to Bethany Myers of Delaware! SOLD 2005: Congrats to Suzanne Veltri of Baldwin, MD! Remmy is the dam of Thornridge Resident Velvet Manor! SOLD 2004: Congrats to Claudia Kleinsmith of Glen Arm, MD! Star is the dam of Thornridge Resident Suitable Attire! 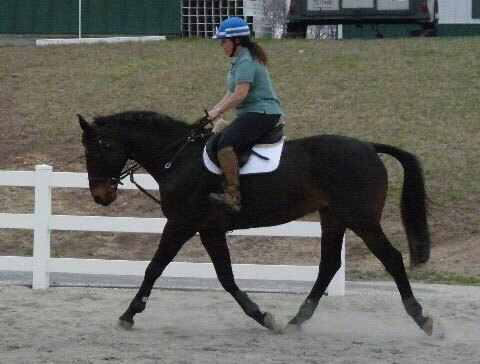 Star has been a wonderful lesson horse at Thornridge for years!